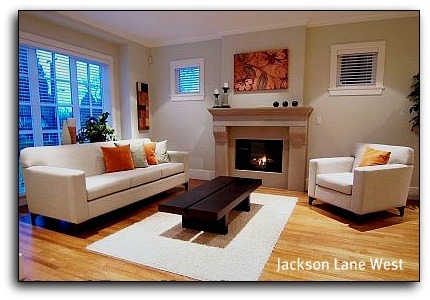 Jackson Lane West (Vancouver/Calgary/Toronto) is one of the Industry’s favorite Home Stagers, er, Property Stylists. Because West does more than just home staging, venturing deep into the world of redesign, he has opted for a more encompassing & diverse title. Well, anyway he wants to present himself, we’ll take him & so will his clients. He is always in demand & his stunning photographs show why. 5 years, 8 months and 12 days. I have wondered that myself on occasion hehehe. Actually I thought that my Realtor and I came up with the concept of merchandising Real Estate after I renovated, furnished and flipped my first condo. I imagined getting paid big bucks to do it for other people would be fun, somewhat glamourous and a unique business concept. I sold ridiculously expensive bottles of fermented grape juice, oversized potatoes and giant steaks for Morton’s. When I look back, my business concepts, policies and strategies have changed greatly over time. I was accustomed to living a very social lifestyle before I started my own venture. The transition from “tripping the light fantastic” on a regular basis to becoming an entrepreneur was challenging. While they were supportive, none of my friends or family could relate to the challenges of operating a staging business. I was becoming lonely, resentful toward my business and burnt out from working such long hours. It was then that I realized I needed to work less, play more and somehow still make the same amount of money. I tripled my rates, hired a full time assistant and to my delight, became almost instantly more in demand. In 2009 I began teaching others how to break into the industry and effectively merchandise Real Estate. 3 years later I am still thoroughly enjoying the travel opportunities that teaching and public speaking provide and I have the great pleasure of meeting and mentoring other creative entrepreneurs throughout North America. In the early years I staged almost every property I could. These days due to my hectic schedule, my client’s are limited to those with very high end listings or seek my collaboration when it comes to design. Since selling a property is stressful for most people. I find it extremely gratifying to help clients secure a top dollar sale in order to help them move forward with their lives. Oh and throw pillows, I love throw pillows! The amount of time I spent squished in an elevator stacked with bins of accessories and furniture. I used to tell my friends, it was like I was moving into a new place several times every month. I also find it challenging to detach from the clients I really like. Bonds form easily when you are working in a clients personal space for days at a time. When the job is completed it can be years before they need your services again. One set of clients that I often think of were 2 bothers who had not been in contact with each other for many years. When their Mother died they both returned to Vancouver to handle their Mom’s esate and get the property they grew up in ready for sale. Overwhelmed with the amount of work needed to be completed in a short amount of time, their agent recommended my services. Like most homes, their Mother’s was stuffed with furniture, artwork and many, many years of memories. When I first met them It was obvious that they did not get along; in fact I would almost say that they hated each other. During my first visit to the property it became apparent to me that one brother was concerned solely with the inheritance. The other brother’s motivation was to present his Mother’s home with dignity and in the best possible light for a new family to enjoy. With each one having a different view on how to get the property ready to market I found my self being a mediator while they argued. A few days (and several arguments) later I was helping sort through their Mother’s belongings when one of the men found a box of old photos. He called his sibling to come and look at them. To this day I have no idea what the image was that “set them off” but before I knew it both men were sobbing and embracing one another. Suddenly their attitude toward each other changed and by the time the job ended they seemed like 2 completely different men to me. A couple of years later one of them sent me an email thanking me again for helping them. He informed me that his brother had recently been killed in a motor vehicle accident. Apparently both men felt that I was a catalyst in helping get their relationship with one another back on track. I will probably never know what the photo they found that day looked like but I will cherish the experience for years to come. My worst staging experience taught me a valuable lesson. Like many of you I have had some challenging clients over the years and have learned a thing or two the hard way. There is one client that stands out in particular when it comes to my worst staging experience. I’ll refer to this client as Lulu. Lulu owned a vacant condo downtown and had seen my work 2 months earlier in a unit similar to, and in the same building as hers. She called me when that condo sold for $4.2 million. She quickly agreed to move forward with my proposal, signed the contract and paid me. I should mention that Lulu was not just the owner of the property, she was the listing agent as well. In hind-site, I should have ran when I found that out. Having to use a the elevator in very tall building to transport everything required to furnish an empty property can add hours to the job. Lulu’s property was on the 47th floor and at the end of the hallway. Experience had taught me that It would take the better part of the day to “schlep” everything in; even with efficient movers and an assistant. The delivery of inventory for LuLu’s listing went off “without a hitch” and everything made it safely inside the condo. The next morning my assistant and I met, grabbed coffee and headed up to the unit. We were excited to get creative and start setting up the “bling”. I unlocked the door and we entered the unit only to see all of the artwork and accessories completely unwrapped. They were split into 2 groups and laid out on the floor. We were both puzzled and to be honest, I was slightly angry. My assistant made me laugh and a few minutes later I composed myself to call the client. It turns out that LuLu visited the property in the evening and went on what seemed to be an unpacking frenzy. She wasted no time telling me that she hated all of the items she had placed in the area nearest the kitchen and insisted that the sofa, occasional chair and area rugs be changed. I politely interjected when she started to bring up the artwork. I explained to my client how I didn’t know exactly what artwork and accessories we would be using or where we would be positioning them. I assured Lulu that her listing would look like a magazine cover when we were finished and asked her to meet me at the property the next morning for the walk through. My assistant and I completed the transformation and were both very proud of what we had accomplished. The next morning, I woke up feeling confident about the presentation of the condo. I arrived at the property 30 minutes early in order to turn on all the lights and take care of any last minute tweaks before Lulu’s arrival. Once inside the suite I was surprised to hear voices coming from the master bedroom. Lulu and 3 other agents from her office were already there. I was told to sit at the dining room table to discuss what I was going to do to fix things. This discussion took over an hour and by the end of it Lulu and two of the other agents were yelling at me. They all felt that the staging was terrible. I was shocked, exhausted with trying to reason with them and was definitely not appreciating being yelled at. Fed up, I stood up abruptly and offered 2 choices. Now I was the one yelling. “Either the staging inventory remains where it is for 30 days, or I can have everything removed this afternoon without any sort of refund”. I was shaking as I started for the door saying I would be scheduling a truck if I didn’t hear from Lulu within the hour. When I got outside and realized my car had been towed. I had a bit of a breakdown, that is if you consider a grown man crying like a little girl, a breakdown. I pulled it together somewhat, called my Mom and cried again over the phone. I was still shaken shortly after when Lulu called to say she would be keeping the staging items in place for now. Mom had told me to take the rest of the day off; and I did. I took advantage of my car being impounded and I have to say the cocktails I enjoyed in the afternoon that day were some of the sweetest ever. 11 days later Lulu called to tell me the property had sold. I set the time to strike the property and told her I would drop off the keys at her office when we were finished. I didn’t end up having to do that though because she was present the entire time we were de-staging. She told me she was worried about us stealing the appliances. I was so glad when the last item was loaded into the elevator and had already updated my contract to include a clause about the final decision of design. Lesson learned. I never expected (or wanted) to hear from Lulu again however 6 months later she called to see if I would stage another listing for her. After bursting into laughter, I respectfully declined. The photos included in this post resonate with my clients and students and I like them too! Choosing a career in this industry can be very rewarding however most people do not realize the amount of physical work required. 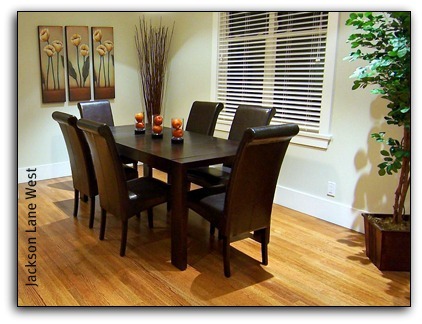 HGTV makes staging look quick and easy when in reality, it is not. It takes time and a considerable amount of determination and dedication to build a successful business. I felt like throwing in the (perfectly folded) towel many times during the first year. Strive to continually improve your portfolio, keep learning and have fun! 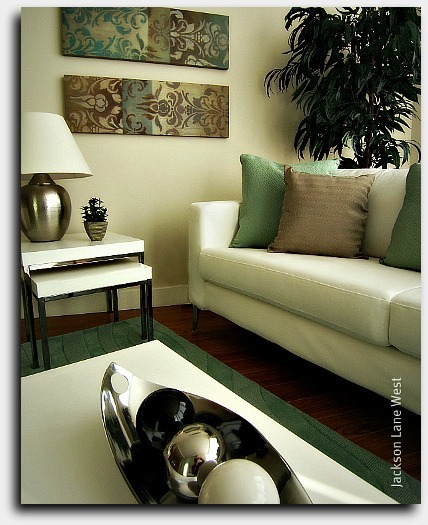 « My name is Melissa Marro & I am a home stager. I loved reading about JLW’s staging story and am honored and humbled to be in such great company! 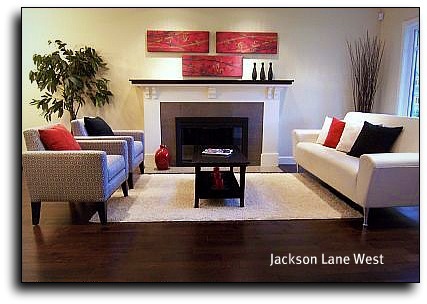 Jackson is a trailblazer (who wears them well too) and someone I’ve always admired and respected in our home staging industry. So nice to have the opportunity to get a glimpse into what brought him here. 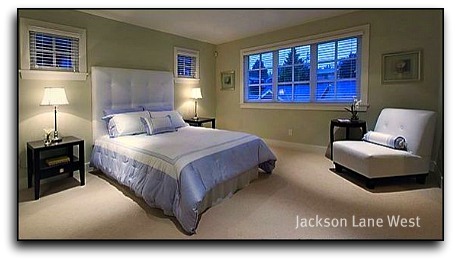 Jackson West is one of the best Property Stylists on the planet! His crisp, distinct style and use of color are flawless, and his photos are top shelf every time. But what also sets Jackson apart is his sense of fun and his warm engaging personality. I’ve had the pleasure of spending a few days with Jackson in his Vancouver home staging class, and no matter whether you’re a newbie stager or a seasoned professional, you’ll be sure to learn valuable ways to up your game.